Blue Coat Church of England School and Music College in Coventry is regularly oversubscribed with pupils each year wanting to attend a popular and highly rated school. The brief for the development required the construction of 18 classrooms some of which would have the flexibility to be used for larger events such as exams and for use by others in the community outside school times that could generate income for the school. The school occupies a site that has green belt on three sides land and residential properties on the fourth, it was therefore quite restricted for future development. Much of the available land within the site had been built upon and it was unlikely that expansion into the green belt was possible or desirable. A full development study of the site was prepared by the practice which looked at all the available space and the practicalities of construction within a confined site that would remain in use throughout the construction period. A small area near the school entrance was identified as a possible site but it was decided that this space may be more valuable as a new entrance and IT building at some point in the future. It became apparent to the practice that the best development would be to occupy the space above the school. A few years earlier the school had constructed a single storey building to the southwest that provided changing rooms adjacent the recently installed astroturf pitch. Alan Riley proposed to remove the existing pitched roof of this building and construct the new classrooms in the space above. Through the use of modelling, the idea of placing the upper storeys in a steel frame developed which would straddle the existing structure below. Small extensions to the ground floor building were added to provide the necessary vertical access, but the new building’s footprint occupied a very small amount of the available land. 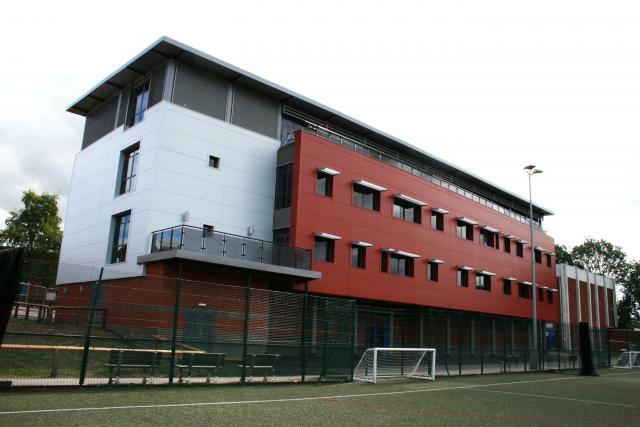 In just over a year the £2.5m project was completed with state of the art classrooms and ancillary accommodation. On the top floor the classrooms can be combined to provide enlarged teaching spaces with views over the surrounding green belt. During a recent conversation with the school it was confirmed that the rooms are regularly used by local businesses bringing valuable income to the school. 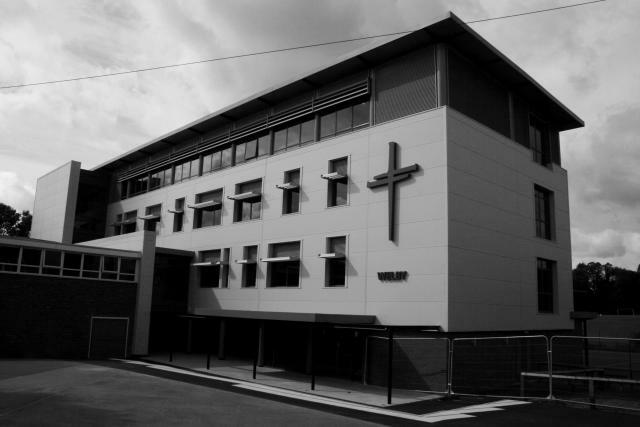 The school, main contractor and architect worked closely together throughout the year and successfully completed the project without any major disturbance to the school and without any health and safety issues.